In course of my visit in India, I am starting to get an idea of its new higher education landscape. This is why I came, and as I see things, I am excited by the opportunities it presents to education entrepreneurs. I am visiting India, reconnecting with it after a long absence. Indeed, such absences change perceptions significantly, and as I start again, I am rediscovering everything afresh. My family context in India has irreversibly changed with deaths and divorces within my immediate family, and there is quite a bit of emptiness I have to deal with now. The same spaces, which I grew up in and to which I automatically assign some meaning, have transformed - and each encounter with them is torn between the inevitable fresh messages that they convey now and the nostalgia I associate with them. However, India, so far, having an opposite effect to nostalgia on me: It is allowing me to feel the inevitable lightness of being. I am going to India on Monday and looking forward to it. First of all, I am going after 18 months. This is quite a change: I used to go to India almost every other month during my earlier job, an intense period of three years between June 2007 and April 2010. Due to a variety of reasons, when I left, I was tired of traveling and chose to take on a job which did not require travel. I wanted, for the first time in life, to stay home and have a 'regular' life. In short, I needed to restart. The fact that I feel ready to go now marks an end to that period - I am ready to return to the life I always loved yet again. It was heartening to see that India's Tata Group, with its diversified interests in Tea (Tetley), Steel (Corus) and Automobile (Jaguar and Land Rover), has become Britain's biggest manufacturing business. The International press took this as evidence of a resurgent India, projecting the power and the confidence of the Indian businesses to play on the world stage, particularly in Britain. However, the recent closure of TASMAC, an Indian Education company which opened its London campus apparently to take advantage of student interests in British Higher Education aided by easy student visas, tells another story: That of opportunism and amateurism of Indian businesses not fit to play at the international stage. Who's Afraid of For Profit Universities? The short answer: Everyone in the UK Higher Education sector at this time. Except those who have retired and are happily dreaming about a second, cushier, career than their first. They have reasons to be worried, indeed. The writing seems to be on the wall for a while. The last Government gently nudged the country towards this direction after they asked Lord Browne, a businessman, to determine the future of UK's Higher Education sector. One of the first acts of the current coalition government was to accept his recommendations almost entirely, and at the same time, allowing the first Private university, in the form of BPP, to get degree awarding powers after almost thirty years. The government managed to withdraw almost all of teaching funding the universities received so far, and putting their faith on 'competition' to ensure quality in the sector. This is a part of the work I am doing on Learning environments. We looked at the British Library as a team, and I am tasked with writing about its service areas. I, as with other things I learn or think about, thought it appropriate to post the report here. I looked at the Service Areas of the British Library, the spaces that fill out the areas around the reading rooms. They hold cafes and galleries, a shop that sells books and touristy trinkets, as well as more functional areas, lockers, cloak rooms, and indeed, the reader registration area. I don't fly Air India. I have suffered enough already, but if I needed any more proof, today's incidents in Gatwick added to the already dismal record of the airline. It proved again that bureaucrats, particularly the Indian ones, are absolutely hopeless in running a customer facing service. I am no lover of privatization, but it is absolutely certain that something drastic is needed in Air India. So this is what happened: Due to fog, this morning's Heathrow bound Air India flight needed to land at Gatwick. If this was any other airline, this would have been fine: The passengers would normally be taken on a bus to Heathrow, a 45 minutes journey. Not for Air India: Surely the Babus could not decide what to do with such an 'unusual' situation. I am in the middle of a teaching commitment, and having taken it up, I have started regretting it somewhat. This is indeed because of pressures of my day to day life, with many things demanding attention at once, not least the management work at the college. We are at an interesting point in the 'journey', when the changes I have been advocating for finally come to be implemented, and I am hopeful, the college will emerge as a completely transformed entity in the next 12 months time. My own business is also coming together, a logo, an office, ideas about technologies and courses, a partnership, various disparate elements: All of this is demanding my time too. Finally, I have reached the last taught module of my MA course at UCL, and this is possibly the most interesting one I have done so far. This is about learning and learning environments, and we have made trips to museums, cafes and finally to British Library to start thinking about learning environments. Why Was Steve Jobs such a Big Deal? Steve Jobs' death certificate says that he was a 'high tech entrepreneur'. Indeed, but he is more than that: He is an entrepreneur's entrepreneur, an icon, a representative of a generation that is now passing. In his famous Stanford commencement address, he talked about his feeling that 'he dropped the baton as it was passed on from the earlier generation of entrepreneurs'. He was not just a carrier though: He was one who redefined the game. An entrepreneur exists to solve problems. 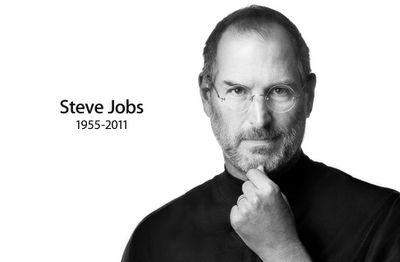 Steve Jobs was not a technology whiz or a finance guru. Steve Wozniak talked about his 'instinctive feel' of what the people wanted from technology. That makes him a rare genius, because most tech entrepreneurs don an evangelical garb and preach to people on technology. Steve Jobs seemed to have turned this evangelism on its head and became people's voice in the world of technology. That's where he made a difference. University of Wales Scandal: British Higher Education's Moment of Shame? BBC Wales claims that they have discovered that students can buy their University of Wales degree. They ran the documentary last Wednesday in their Week In Week Out programme on BBC Wales, claiming that students can just pay their way through. In the programme, the reporter made many bold comments, and claimed that Wales' national institution has brought the entire nation, presumably Welsh nation, to shame. I believe bookshops have fallen victim of books. Why else, as more people read books and talk about books, bookshops keep disappearing? Recently, another grim report pointed out more high street bookshops went bust, and appealed, in a very British fashion, for more government support. It is as if subsidies will save bookshops, while books desert them. I love books and bookshops. I spend entire afternoons, when I can, browsing through bookshelves. I buy a lot of books online, but that has no pleasure. It is not like feeling the book in my hands and knowing whether I can read the book, whether I want to read the book, before buying it. Amazon has done a lot - allowing me to peek inside the books - but still bookshops retain their charm. Amazon does not, even with its considerable resources and best efforts, give me the conversation I can have with a fellow book-lover at the counters of my favourite bookshops. Andrew Keen talks to Sherry Turkle on Alone Together, a book I am reading currently. The late autumn heatwave in London, which means temperatures of 29 degrees and a clear sky, is having the most unintended effect on me: Melancholy. The sky looks exactly like the autumn sky in Kolkata, and the weather, too warm for a pull-over, exactly the kind people will complain about sitting in Puja Pandals next week. This brings out the sense of disconnection, of loneliness and of things lost, of moments that could have been and priorities that could be reversed. Kindle Fire will be the technology Mobile Learning was waiting for. Plausibly. Cheap and pocketable, Kindle Fire is an exciting opportunity. Here, Amazon is trading off the lure of a bigger, iPad like screen with its deep reservoir of content. One would think they would actively pursue the education market, leaving iPad out to the lifestyle users. Whether or not this will happen would be determined by whether or not Amazon tries to redefine the Academic publishing business. This is already under serious threat from Internet and Open Access movements. Amazon may want to position Kindle Fire as a sort of panacea to academic publishers, as they tried to sell the idea of Kindle to the book publishers and newspaper groups earlier. So far, Apple and Samsung looked the other way as far as Academic journals are concerned; Amazon indeed has a bit of game-changing opportunity.